Zeblaze Thor 4 Review: The Perfect 4G Smartwatch with Good battery Life!! Home Review Smartwatches Zeblaze Thor 4 Review: The Perfect 4G Smartwatch with Good battery Life!! Zeblaze maybe not known to all, but it has made its way up to the top with its notorious product line up that mainly excels in the world of the smartwatch. Zeblaze has set another blaze in the smartwatch segment with its newest offering codenamed the Zeblaze Thor 4. With increased competition from the big players the Company’s like blaze wouldn’t survive yet stripping off its every competitor with products desirable to every consumer blaze is unflinching with its determination. Earlier It has launched Zeblaze Thor & Zeblaze Thor Pro which was a huge success for the company. The Thor 4 is one of those products they bombed the market with. The following is the revelation of the device to the world. Before starting the detailed review, lets have a quick specs check of Thor 4..
Handcrafted in the house of Zeblaze the device doesn’t lack in surprises. With aluminum alloy bezel fencing at the top of the device covering every corner, the premium is the word used to describe it. Thor 4 has a pre-assembled tempered glass as a protective film, it’s on the rugged side. With a 1.39 inch blazing display with a resolution of 400×400 pixels vibrating every inch of the display facing up top and surrounded with a steel body, the design is nothing but perfect. Accompanied by massive 580mAh battery to last long on every day. Piercing out two individual buttons on the right side of the for its functionality positioned genuinely with a camera of 5.0mp in between which is first of its type in the smartwatch making it one of its kind. The Zeblaze Thor 4 comes with the MediaTek MTK 6737 processor clocked at 1.1 GHz clocking speed transforming it into of powerful and ruthless devices on the wrist. To support the beast 16GB of ROM and a 1GB of RAM making it second to none or any smartphone. It is equipped with Bluetooth and Wi-Fi for connectivity and to be precise it is one of the best smart devices in the segment of watches with specs it is offering. The surprise of the device is the camera situated between two functional buttons a 5MP camera, to sum up, the device. The Zeblaze pushed no stones unturned in rejuvenating this device. The device is embedded with android 7.0 nougat one of best of Android, unlike any other devices. With its highly customized user interface, it gives a ton of accessibility. With over 150 creative dials the device is nothing but fun. With one of the latest Android offerings, it’s provided with appstore for all sorts of consumers. Nevertheless, the software in the device is customized in such a way that receiving calls on the wrist is possible along with messages and notifications making also possible the alarms all of this says a smartphone, to say the least, it’s not it’s. The way is to wrist not to hold. The core functionality of the watch lies as a t-rex waiting to be hunted with a heart rate monitor throned at the back providing accurate measurements in the health segment. Heart rate monitor was one segment the other lies with pedometers which lets you know the number of distance you’ve been walked all day for the time the device is on the wrist. It doesn’t end there with the best of Android it is embedded with different sports modes to push the individual to be more productive in workout sessions perks of offering with android. On the other side of the coin, the Bluetooth music player is a gem, with a built-in 28nm GPS it is one most reliable and efficient GPS ever in any smart device. With Android, it’s far more efficient than ever. The perks of this is a SIM-card slot underneath most of us will be surprised the real game changer is it is supported for LTE 4G connectivity. Nonetheless, with loads of connectivity and spec beast, it is not to be considered Underrated. The blaze is never an underdog in the Asian market with its shiny product catalog it promises to exceed the consumer expectations with every step through quality and efficiency. This time the Zeblaze Thor 4 is one the maiden craft from the surprising gadget artist. With simplicity magnified with the power to this offering the device aimed to push the individual in every aspect on a daily basis in assisting to be more productive than ever. With the specs of a smartphone yet embedded in the smallest form of architecture to be on a wrist to say it’s a wrist, accessories are succumbing to the whole of its value. For the curves it posses, to the luxury, it’s made with, from the power it’s rounded on, at the heights it can push the zeblaze has made art with meticulosity as its blood running on every inch of it. Buy Zeblaze Thor 4 Smartwatch at Discounted Price!! With a humongous battery of 580 mAh and an unflinching display with corning gorilla glass 4, the device offers more than the buck. Previous articleXiaomi POCO F1 to be launched in India on August 22! Lemfo Lem X Review: Brilliant Smartwatch with a (2.03 inch) large Dial!! 10 Best Unlocked Chinese Smartphone to Match Your Budget!! 10 Best Cheapest Smartwatches Under 50$ : Best Affordable Chinese Smartwatch!! Ulefone Note 7 Review: Best Redmi Note 7 Alternative! ZTE AXON 10 PRO 5G Review: 1st 5G Smartphone in 2019!! Xiaomi Pocophone F2 Review: Upgraded Version of POCO F1!! Huawei Honor Watch Magic Review: Budget Waterproof Smartwatch with NFC Support!! Huawei Watch 2 Review: A Sporty Smartwatch with 4G Connectivity!! How to install Tik Tok in PC: 10 Steps to download TikTok on your PC!! Top 10 Best Gaming Smartphones in 2019: Smartphones made for Gamers! 10 Best DNS Server for Gaming In 2019: Free & Public DNS server for Gamers!! 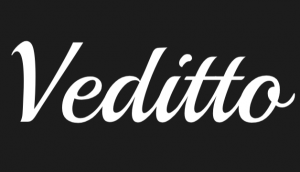 Veditto is a platform, where we review the Best gadgets from China. 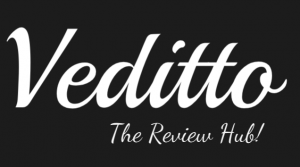 Our unbiased review surely help in your buying decision. We provide first hand reviews on smartphones, Tablets, Smartwatches, Smart home products and many other gadgets.